For concrete to set properly & harden, a chemical reaction called hydration (also known as the curing process) must take place, which consists of the chemicals in the concrete reacting with water to bind together the mixture. In order for hydration to occur, the temperature of the concrete has to be 40ºF. Anything below this temperature will slow the hydration process, and may even cause it to stop, since cooler temperatures increase the length of the hydration period. In colder temperatures, proper care must be taken to ensure ice crystals do not form during the curing process. An excess amount of free water in the concrete mix will have a direct connection with the resulting damaging effects. Heat is necessary during the hydration process. There are numerous ways to increase the temperatures during the hydration period. One way is to add additional cement to the mix. The extra cement will provide additional heat to the hydration process. The temperature of the concrete can also be raised by heating the components. The aggregates in the mix can be heated, or you can heat the mixing water added to the cement. When heating water, the water temperature should be consistent in each batch of concrete to ensure equal performance and predictability. It is typically difficult to thoroughly heat aggregates. To help ensure the heated mixing water is adequate for use, store indoors or underground. In addition to heating the aggregates, you may still need to add in a chemical accelerator to the mix, which will speed up the hydration process. Speeding up the hydration process will in turn speed up the setting time of the cement. Two types of accelerators are calcium chloride and a non-chloride type. Calcium chloride, however, can cause corrosion to any steel used in the concrete. The non-chloride type, however, is not corrosive and can be used in much larger quantities. The drawback with the non-chloride types it that it is pricier than calcium chloride. So, how cold is too cold? Cold weather is considered temperatures being below 40ºF for 3 straight days and the temperature not being above 50ºF for more than half of any 24 hour period.To prep your site to pour the concrete, make sure you have all of the proper insulation and heating equipment on your worksite ready to go. 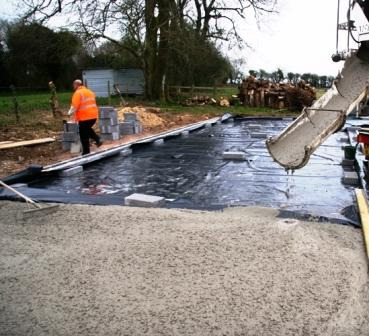 Firstly, the ground must be thawed prior to placing any concrete. 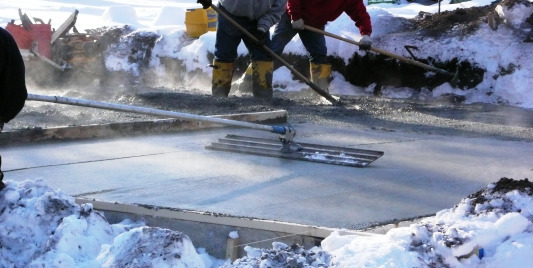 Concrete cannot be poured on frozen subgrade. If freezing is predicted, protect the subgrade and bring the temperatures to above freezing. If concrete is placed on frozen subgrade, uneven settling will occur when the subgrades unthaws, resulting in cracking. The colder the surrounding air temperature is, the more difficult it is to maintain a stable concrete temperature. The temperature of the subgrade should be as close to the temperature of concrete that is being poured. Once the concrete is poured, a liquid curing compound can be sprayed over the concrete, and protected with an insulated blanket. In the instance of a floor slab in an enclosed area, use a ventilated heater. If the depth of the subgrade frozen is only a few inches, there are different thawing options, such as steaming, spreading hot sand or gravel, or covering with insulation for a couple of days. 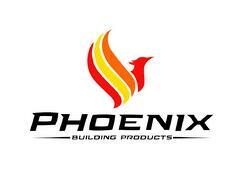 For your ready mix concrete or winter deicing needs, contact us!